Ann-Marie is a very experienced massage therapist with a wide variety of styles and techniques to offer. She can tailor each massage to suit your requirements. Above all her aim is to facilitate good health, free you from pain, increase your range of movement and eliminate dysfunction. Ann-Marie loves treating people and started from a very young age when a family friend came over to the family home and treated everyone expect for her because she was more interested in learning how to do the massage than receive a treatment herself. Before she knew it, Ann-Marie picked it up very quickly and was known as the massage therapist in the family. Ann-Marie has had a few careers before becoming a Myotherapist, in both horticulture and management of an outdoor retail store. It wasn’t until she travelled to Nepal, trekking the Everest region in 2004, where she found her calling. A woman on her trek came down with a migraine and Ann-Marie offered to help with a simple seated massage that was taught by her family friend. She was surprised at how effective massage can be and how it helped release this women’s migraine. Ann-Marie returned to Australia, enrolled in a massage course and has never look backed. 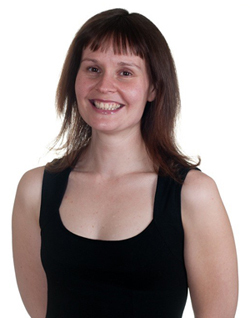 Ann-Marie strives to help others with her own personal experience and to help you gain strength and to be pain free. Ann-Marie is continuously studying so that she can provide the best service possible. Unity Massage requires 24 hours notice for cancellation of appointments or otherwise a cancellation fee of 50% will be charged.